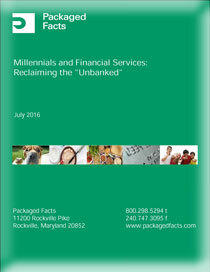 The theory that Millennials are abandoning banks is overblown, hinging on how banking relationships are defined. The real question is whether Millennials’ newfangled use of banking services will ever translate into significant profits, or whether banking institutions will be relegated to occasional or branch convenience use. The rise of two products that compete with more traditional banking services—prepaid cards and online money transfer services such as PayPal—helps to answer that question. The overall trend remains a shift among Millennials toward emerging banking and borrowing models, and the trend is clearly dangerous to banking institutions that do not adapt to the evolving needs of the Millennial generation.